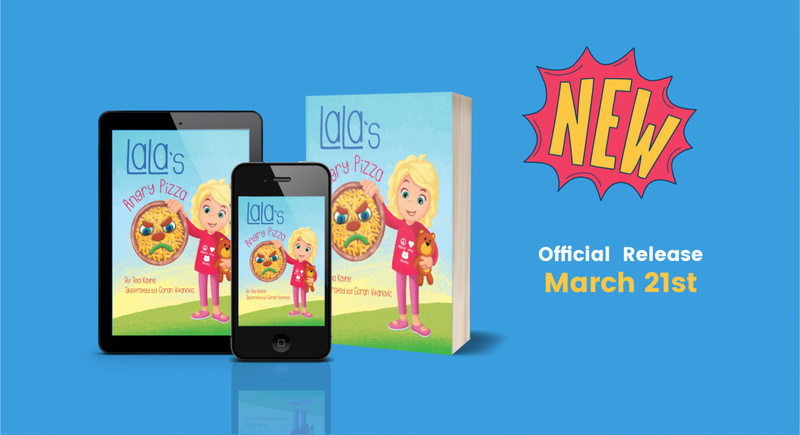 LaLa’s next book, LaLa’s Angry Pizza has an official release date of March 21, 2019! In LaLa’s Angry Pizza, LaLa has a very bad day and is mad, mad, mad! She discovers a way to get her anger out through self-regulation and creativity. Welcome to LaLa’s World: Where kids learn how to be the change! This inspirational children’s book series encourages kids to become more self-aware, tap into their inner wisdom and inspire others through positive action and kindness. The idea of LaLa’s World was born soon after the arrival of my second daughter. From birth, she had a hard time adjusting to her environment and could not self soothe. As she grew into a young girl, her frustration with lights that were too bright or food with funny textures grew into arguments with her sisters over things that simply could not be controlled. That coupled with a spiritual journey of my own, made me realize that my daughter could benefit from understanding her power within…that while she couldn’t always control what happened to her, she could control how she responded to it. LaLa’s Angry Pizza represents a proud parenting moment when LaLa discovered her own powers of self-regulation without mom’s help! It is the second release of the series. Be sure to check out the first book that started it all, LaLa Feels Blah-La. Please visit LaLa’s World to learn more about LaLa’s path to mindful living. Hardcover Now Available Plus a Goodreads Giveaway!